For most of us gals coloring our hair is pretty important. And expensive. And those home hair color kits can be scary! 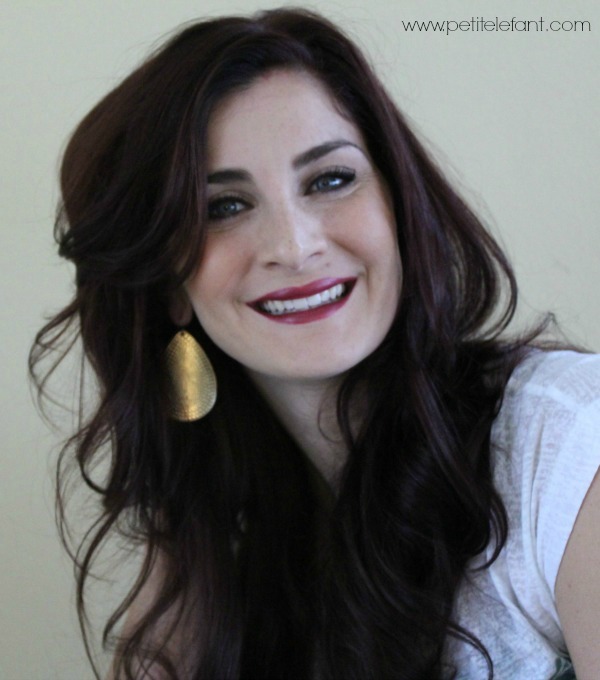 So, for those of you lucky women who have never had dye grace your beautiful locks – don’t. What a joy to not have to worry about roots or scheduling hair appointments every six weeks or so. 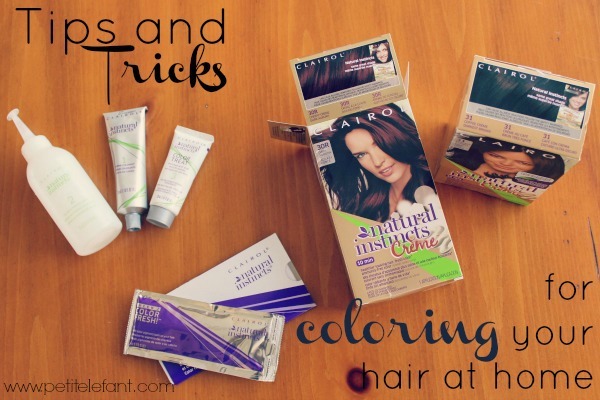 But for the rest of you wondering about home hair color how-to’s I’ve got some handy tips and tricks! Honestly, I can’t remember the last time I had my hair colored in the salon. See, it went a little something like this: I had a boyfriend waaaayyy back in high school whose sister was a hair stylist. She would put three different colored highlights into my hair for free and I was a beautiful blond. Well, let me rephrase — my hair was a beautiful blond. Blond, however, is not really my color. Hard to resist free highlights, though. Well, we broke up (shocker!) and probably the saddest part was that I either needed to find another hair stylist to do the same for free (unlikely) or go closer to my natural color. I chose going almost natural. Not all the way because that would be too easy. So pretty brown-ish red it was. I learned that I could fork out an extra 60 to 100 bucks every time I’m at the hair salon or I could learn to do this baby on my own. Since I’m somewhat cheap… err I mean, economical, I chose the DIY route. 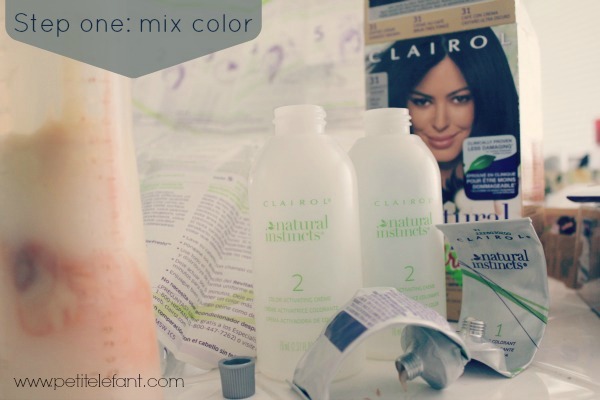 I’m here today to share what I’ve learned about getting my home hair color right. I’m going to walk through the process then share some tips below. Easy, right? Follow the directions on the package, put your gloves on and mix away. 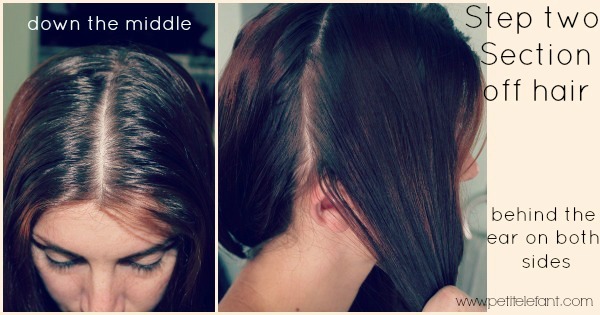 I section my hair with part down the middle front-to-back and a part from behind the ears crown-to-nape. I leave the back as a whole section, and start at the top and work my way down. I feel like this helps ensure you’re really getting it all. Wow, look at my beautiful roots. Yikes. So you apply the color as shown here, right down the middle, then using your hands (with gloves on of course) spread the color out into the hair. When you’re done with that small section, use the tip of the bottle to part a new section. Make sure that the new section you take has a little color from the other section and isn’t all the way dry. You want to make sure you’re getting all the hair, not taking too much at once. Continue down on one side, then the next and then move to the back. 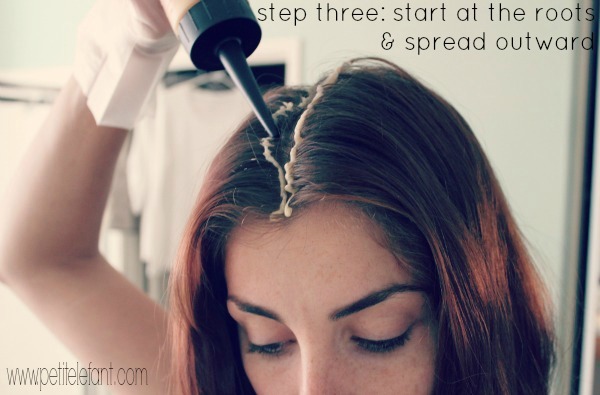 Once you’ve done the sides, use what’s left in the bottle to saturate your hair all the way through. 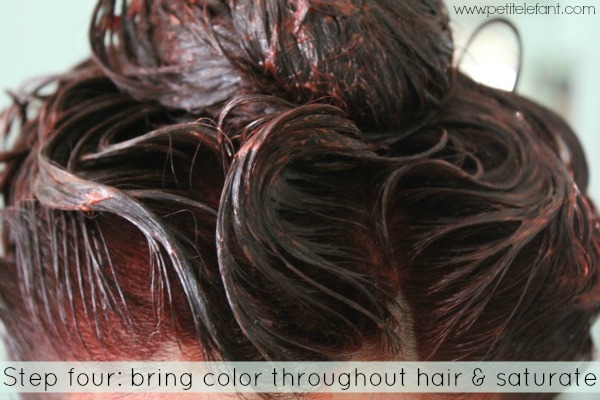 This is important so that you don’t have uneven spots after, the tell-tale sign of a rookie home hair color job. Like I mentioned at the end of step three, bring the color all the way through and make sure that your hair is totally saturated. You don’t want to look like a Dalmatian! Let it process according to the package directions, I usually go anywhere from 20 to 45 minutes. It depends on how ambitious I am. You can wash with your regular shampoo and conditioner. I don’t think you really need the conditioner in the box. Rinse before shampooing and make sure you rinse until most of the water running off of your hair is clear. With red colors this is kinda hard, but do it as close as possible. Then apply the shampoo. Wash twice with shampoo if needed and let the conditioner sit a few minutes longer. VOILA! You just colored your own hair, congrats! Now here are some tips I’ve got for you. If you keep track of the at home hair colors you use (which I do not…) you don’t have to pull the color all the way through the hair. You can just do the roots and blend out to where you can see your color. If you want more options or more color control, try a hair color product from a beauty supply store and be sure to get the accompanying developer. Just ask the sales-person which goes with which. This is pretty much what your stylist is using anyway! This might seem obvious, but I’m gonna put it out there: Wear gloves, old clothes, put an towel down on the counter and floor , and when you dry your hair out of the shower for the next couple days, use a dark towel. You know all the color that gets all over your forehead, neck, & ears? No? Just me? Liars. Well, you can use baby oil or makeup remover to get the color off where it’s not wanted after you’re finished applying. Do this sooner rather than later. Don’t think you can do an at-home hair color? Call a friend, have a hair color date! My mom and her best friend have been coloring hair for each other for probably the last 20 years. It’s easy, kinda fun, & less expensive! That’s all I’ve got for you today! What do you think, will you take the plunge & do it now? Or are you already a hair dye DIYer? If so, any tips you would add? *Side note: I am not, nor have I ever been, a professional hairdresser or stylist. I just play round with my own hair and it’s worked so far (i.e. never had to get it fixed!) So if you’re brave, try it out! But don’t shoot the messenger! :) You may want to opt for a temporary color first, then move to a semi-permanent once you feel comfortable. Bleaching especially can be risky and might be better left to a pro. Thanks so much for this post. You’ve encoypuaged me to try doing this on my own as I’ve never had to color my hair before. Hairdressers always warn against this though…. Which brand do you recommend? Amazing how you can keep the color even! I tried dyeing my own hair once and apparently I missed some parts at the back. I just ended up having it fixed at the salon. Your tips sound good though, I def didn’t do the steps you mentioned there. lol Maybe I can give this a shot again. Thanks! Before i dye my hair at home i just put vaseline all around my hairline and on top of my ears. This prevents the dye from coming into contact with your skin in the first place, and when youre done you can just wipe it off! I find it more convinent than using baby oil afterwards.